Focused around the site of the new Brentford FC community football stadium, a major development aims to regenerate Brentford, and deliver a new hub for the community at Kew Bridge. The scheme sees the addition of commercial and retail units along with more than 900 residential properties across three sites, becoming one of London’s biggest communities of new homes for sale and private rental. Waterman were appointed to carry out the building services design for phases 1 and 2, offering 740 new apartments built across three plots; Central Southern Site, Central Eastern Site and the Capital Court Site. Comprising seven separate buildings and with a total area of approximately 3 acres, the three plots form part of the wider Brentford Football Club project. Phase I consists of Central Eastern and Central Southern, designed by Broadway Malyan Architects, will provide 487 private rental units whilst phase 2 consists of Capital Court. Designed by JTP Architects, this will provide 253 private sale units. The development features a blend of one, two and three bed apartments, with prospective residents offered a hotel-style living experience. With access to private landscaped gardens along with concierge and extensive residential amenities, with the facilities further enhanced by high-quality retail units on the ground floor. 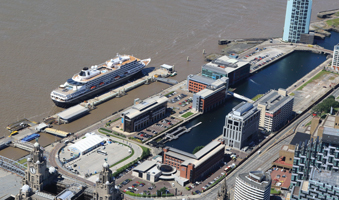 These areas are linked as part of the wider public realm investment, intended to integrate the stadium and concourse with the residential buildings. Providing a fast-tracked building services design to meet the challenging programme, our team worked closely with EcoWorld London to ensure that the specifications were achieved within the pre-determined plot constraints. Utilising BIM to significantly de-risk the procurement process, our design rationalised the fixed layouts of plant rooms and distribution routes to improve the development efficiency and to explore opportunities for off-site pre-fabrication. Our sustainability specialists were actively involved in the integration of the design with the Combined Heat and Power (CHP) plant at the heart of each of the plots. The CHP will deliver around 60% of the development’s heating and hot water needs, offering a 34% improvement in carbon emissions over Building Regulations Part L1A 2010. Significant reductions in water usage will be achieved with low water use sanitary ware, helping all residential elements of the scheme target Code for Sustainable Homes Level 4. The procurement and construction of the wider scheme is extremely complex, with stadium interfaces. 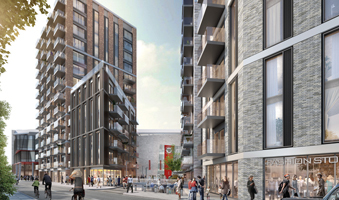 Construction commenced in early 2018, with the stadium completion targeted for Brentford FC to move in summer 2020 and residential completion of phase 1 scheduled to complete by the end of 2021.